As part of its thrust to serve the community, Red Cross- Makati branch operates a blood bank. It gives comprehensive blood services, which include donor recruitment, collection and storage of blood, blood testing, processing and supply to the hospitals in accordance with the provisions of R.A. 7719. The cost of comprehensive blood services management is covered partly by the contribution of the actual consumers. Each bag of blood can be obtained from the blood bank at an average contribution amount of P1,500. Price varies per components needed (i.e., plasma, red blood cells, whole blood). For QUALIFIED INDIGENTS, the Blood bank issues blood to them at no cost. To cover the blood management service cost, funds are raised through other sources: cash donations, support from local government and fund raising activities. Being part of the Makati Branch Council of Red Cross since 2008, I have been continuously involved in volunteer administrative and leadership works for the branch. I have always been at the backend support. It was not until Christmas of 2008 when the magnitude of existence of Red Cross blood bank hits home. My Tita’s Leukemia was already at stage 4 when we found out. We all know that we have to face the sad possibilities that her days are numbered yet the family still tried all possible medications, with hope that she can still celebrate more momentous occasion with us. Part of the ordeal of the treatment was looking for possible blood donors and scouting all Red Cross blood banks for her weekly blood requirements. Each bag of blood we get from Red Cross meant additional few more hours, days, months to her life. My Tita passed away in April of 2009. The experience allowed me to see Red Cross, not as the one serving but as the one being served. Its importance was made concrete. It gave me the chance to feel the needs of the indigents. We lined up with them for a bag of blood, both of us carrying the hope to save our loved ones’ life. The only difference is that we were blessed with enough resources to contribute to Red Cross for each bag of blood, they are not. 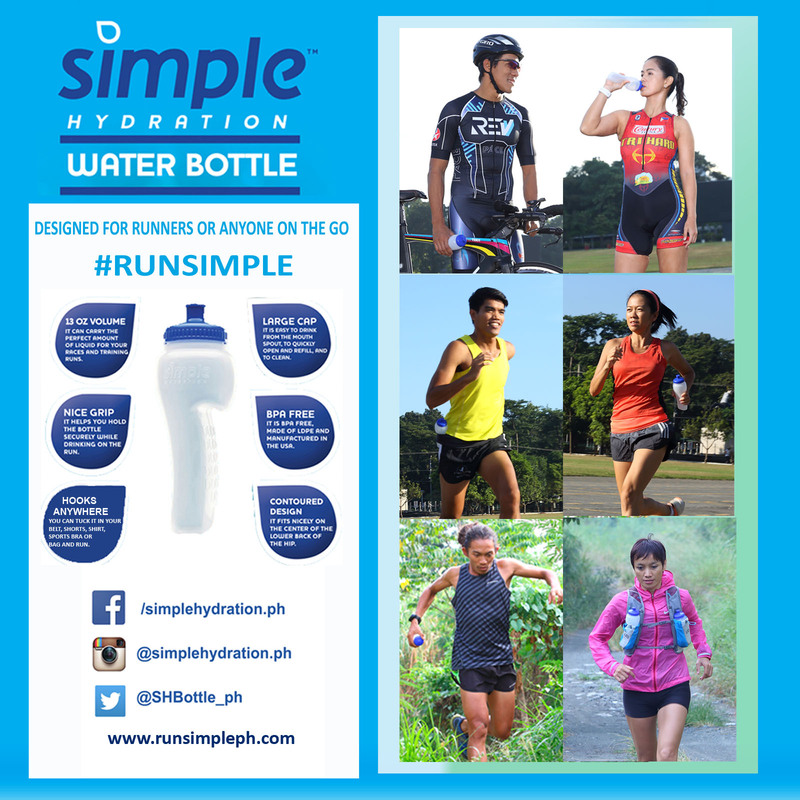 I would like to help Save Lives and donate blood to the indigents by RUNNING! Donate 360 and Save Lives! 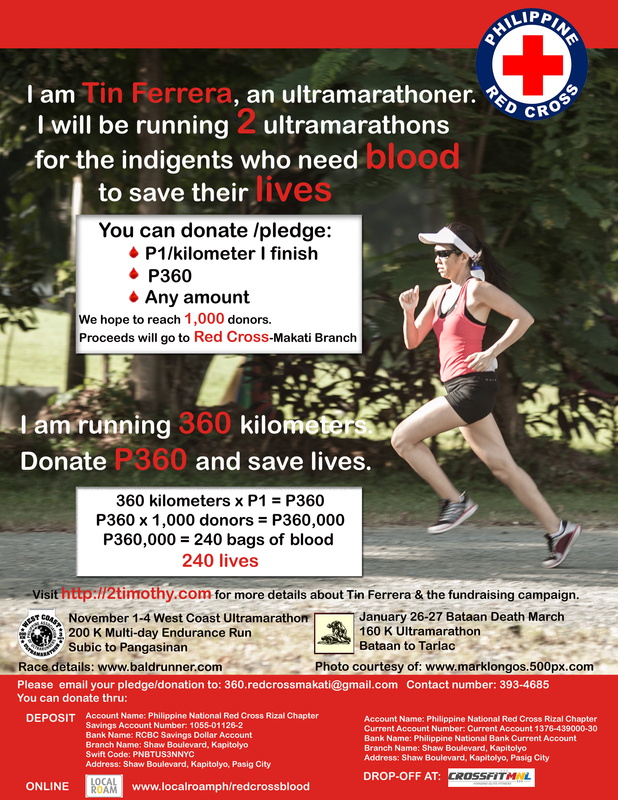 I am Tin Ferrera and I am running 360 Kilometers to raise funds for the Blood Samaritan Program of Red Cross Makati which supports the need for bags of blood of QUALIFIED indigents. The West Coast Ultramarathon, a 3-day Endurance Run covering 200 kilometers from Subic to Pangasinan on November 1-4, 2012. 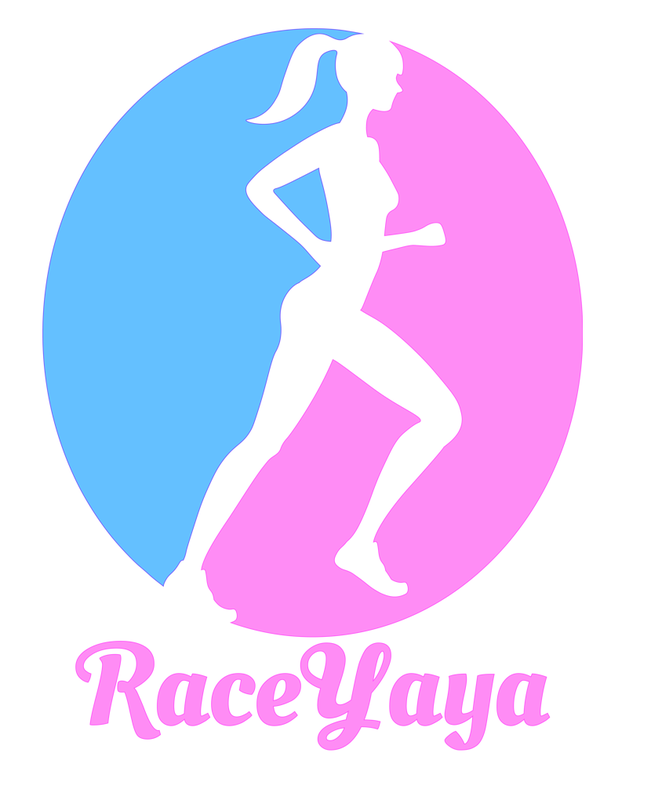 Each and every race presents a different experience and challenge. Anything can happen. What I am certain is that I will put one foot in front of the other: run, walk or even craw; with each step offered to everyone whose lives has to be saved by a drop of blood. I hope to reach 1,000 donors or P360,000 of donation to the Blood Samaritan Program (payment for the cost of blood processing fees for the indigents) of Red Cross Makati Branch. 1. You can deposit to the Philippine National Red Cross account. 2. 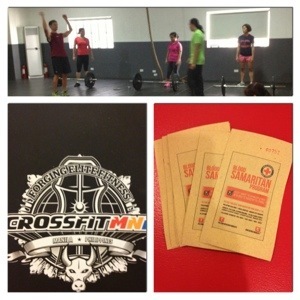 Drop-off donation at Crossfit MNL – Libis http://www.crossfitmnl.com (A Blood Samaritan pledge envelop is available there. Look for Dianne or Pia). Hey, you can also workout there. Book a one-time trial at their site before dropping by. Ask for the Blood Samaritan Donation envelop from Pia/Dianne. Please log-on to http://2timothy.com/i-am-running-360-kilometers-donate-p360-and-save-lives/how-to-pledge/ or email 360.redcrossmakati@gmail.com so we can track your donation and also thank you.